Several of the recipes in Beard on Bread use rye flour. It took me awhile to find a good source for reasonably-priced rye flour (I found it in bulk at the Linden Hills Co-op), and then I had to contend with Mike’s attitude. To pacify him, I let him pick the first rye bread recipe I tried. He settled on Finnish Sour Rye Bread, which also gave me a chance to commune with my Finnish heritage. 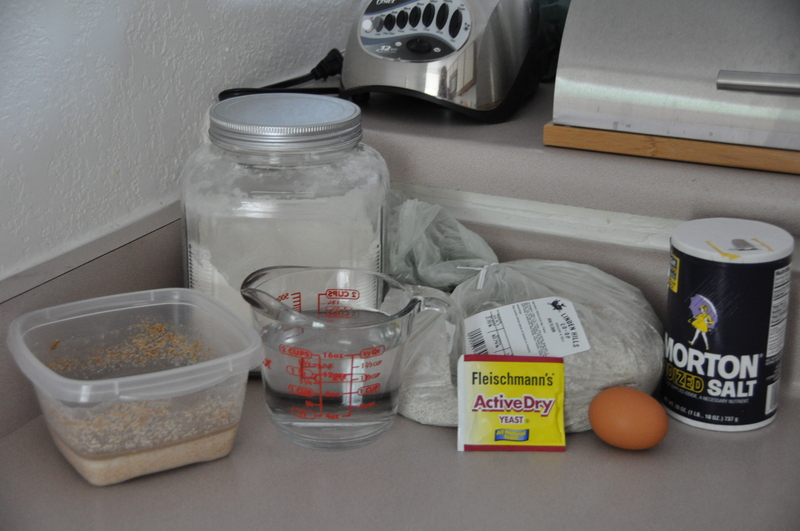 I started the bread on Wednesday night, when I mixed one cup of rye flour with one cup of water to make a starter. Over the next four days, I stirred the starter once a day. At first it got bubbly, but then it went flat. I was concerned that I had somehow killed it, but the noxious, fermenting smell assuaged my fears. This afternoon, I mixed the starter (pictured in the clear plastic container) with the rest of the ingredients. The rye flour is in the plastic bag on the right. Finnish Sour Rye Bread is only half rye flour; there is an equal amount of all-purpose flour. 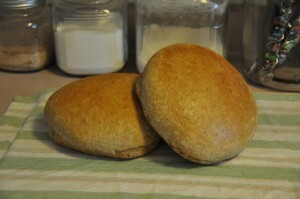 However, the rye flour made the dough much softer than a typical white bread. I let the dough rise for 1 1/2 hours while I sat on the deck, enjoying the summer weather with the New York Times and a blended coffee drink. 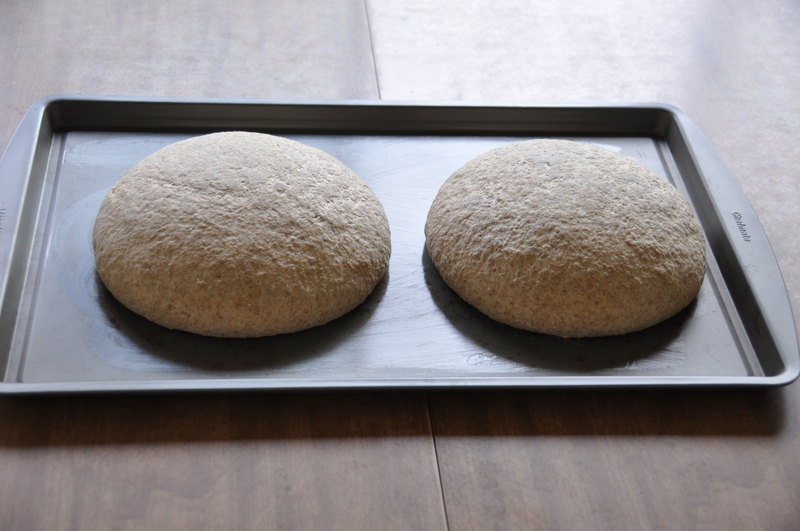 Then I shaped the dough into two round loaves, taking care to shape them tightly to avoid the problems I faced with my Irish Whole-Wheat Soda Bread that burst apart. 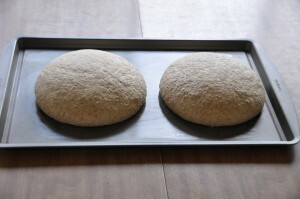 After rising for 40 minutes, the loaves were ready to go into the oven. Mindful of my under-baked soda bread, I baked the loaves for the entire recommended baking time of 45 minutes. At that point, I removed them from the oven and thumped the bottom to check for doneness. The loaves sounded done, so I let them cool while I finished cooking some soup. And it was an excellent loaf of bread–there was only the slightest bit of tang, despite how pungent the starter was after fermenting for four days. The rye flavor was balanced by the white flour, resulting in a perfect texture and taste. Finnish Sour Rye Bread is a delicious bread–even for those who don’t like rye bread.